For use on Retention Tanks & Sand Traps. filling instead of messy chemicals. Fully adjustable metering of chemicals and never needs priming. 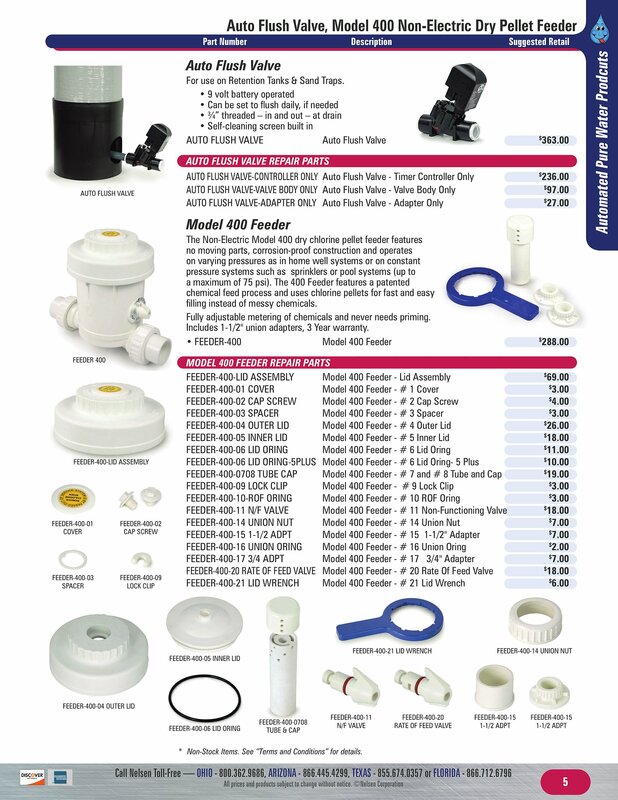 Includes 1-1/2" union adapters, 3 Year warranty. * Non-Stock Items. See “Terms and Conditions” for details.